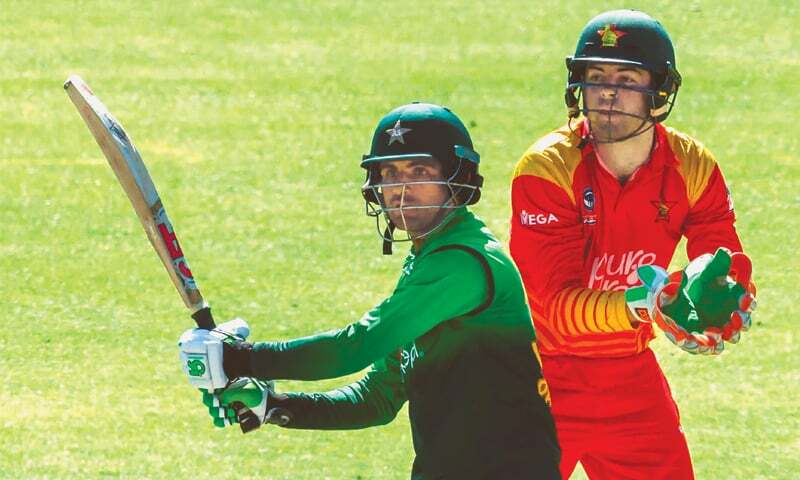 BULAWAYO: Imam-ul-Haq smashed his third century of the series and Fakhar Zaman became the fastest batsman to complete 1,000 runs in ODIs as Pakistan swept Zimbabwe 5-0 with a 131-run win in the fifth and final One-day International on Sunday. Imam hit 110 off 105 balls, and Fakhar belted 85 off 83 to reach the 1,000 mark in only his 18th ODI, with Pakistan posting yet another strong total of 364-4 after choosing to bat at the Queens Sports Club. Fakhar improved on the record of 21 matches which was shared by five cricketers, including his team-mate Babar Azam, who made 106 off 76 deliveries, and the legendary Sir Vivian Richards of the West Indies. Zimbabwe’s top-order batsmen finally found some sort of form and finished on 233-4 their best total in the series. 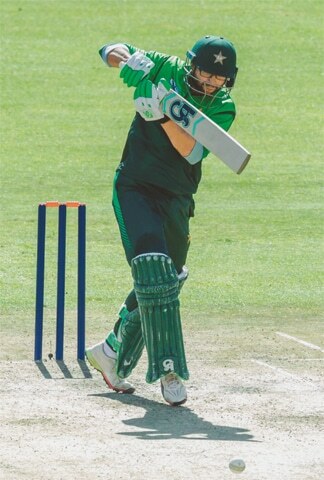 Ryan Murray, dropped twice, top scored with 47 off 70 and Peter Moor remained unbeaten on a 54-ball 44 in a 67-run stand with Elton Chigumbura (25). It was also personal bests for both players in their short careers. 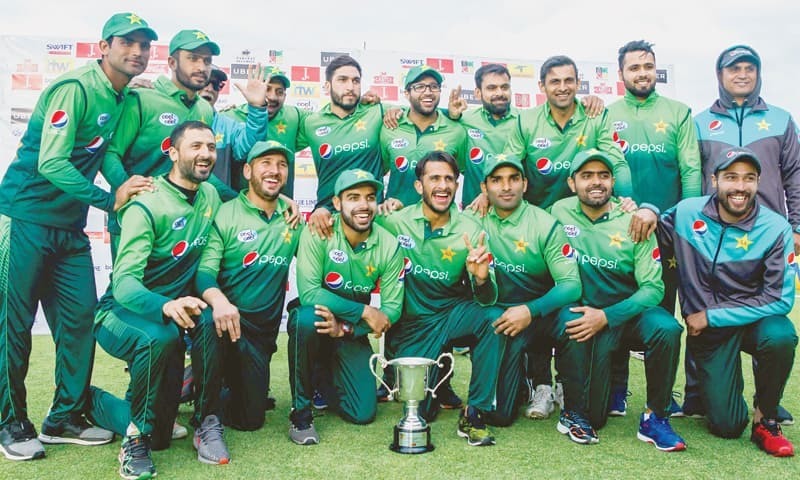 In a lopsided series, Pakistan won two matches by nine wickets and two by more than 200 runs before wrapping up the series on Sunday. “It was a great team effort, we wanted to finish on a high note,” said Pakistan captain Sarfraz Ahmed. Imam and Fakhar continued their prolific run against a weak bowling attack by sharing the fourth century-stand of the series. Man-of-the-series Fakhar, who needed 20 to complete 1,000 runs, reached the landmark with a cracking square cut boundary off Tendai Chatara. While he missed out on what would have been his third hundred of the series, Fakhar still finished with 515 runs in the series that included a century and also Pakistan’s first ever double hundred in an ODI. Fakhar also notched up most runs scored between dismissals in ODIs, having scored 455 runs since he was last dismissed in the first match of the series, while his overall tally was the second most runs in a bilateral ODI series after Virat Kohli’s 558 runs, which the India skipper made against South Africa earlier this year in a six-match series. Fakhar, who hit 10 fours and one six, looked set to break Kohli’s record before he was caught behind off Liam Roche after putting on a 168-run opening stand off 150 balls with Imam. Imam hit eight fours and a six before he was trapped leg before wicket while going for a sweep shot off Wellington Masakadza’s off-spin bowling. Babar then took charge and scored at a brisk pace as Pakistan clobbered 44 runs in the last three overs. The right-hander hit nine fours and two sixes and completed his eighth ODI century. And though Shoaib Malik and Asif Ali both fell cheaply, the carnage continued with Babar Azam then racing to a century of his own from 72 deliveries, his second fifty haven taken just 17 balls. Zimbabwe captain Hamilton Masaka­dza and Tinashe Kamunhukamwe both made 34 each and shared a 66-run first-wicket stand before falling in successive overs. Prince Masvaure (39) and Murray also got starts before both fell while going for big shots. Left-arm spinner Mohammad Nawaz picked up 2-47 while fast bowler Hasan Ali got 2-55. Hamilton Masakadza conceded there was a huge gap between his inexperienced team and Pakistan. “This series has shown how big a gap there is and how much work remains to be done before our next series,” he said. The hosts were without five top players for the series due to differences with their cricket board. FALL OF WKTS: 1-168, 2-245, 3-280, 4-316. DID NOT BAT: Shadab Khan, Mohammad Nawaz, Mohammad Amir, Hasan Ali, Junaid Khan. BOWLING: Mpofu 10-0-67-1 (2w); Chatara 10-0-79-1 (1nb, 1w); Tiripano 7-0-67-0 (4w); Roche 10-1-65-1 (4w); W.P. Masakadza 10-0-66-1 (1w); Masvaure 3-0-19-0 (1w). FALL OF WKTS: 1-66, 2-70, 3-148, 4-166. DID NOT BAT: D.T. Tiripano, L.N. Roche, W.P. Masakadza, C.B. Mpofu, T.L. Chatara. BOWLING: Mohammad Amir 8-2-19-0; Junaid Khan 7-0-35-0; Hasan Ali 9-0-55-2 (1nb, 3w); Mohammad Nawaz 10-0-47-2 (3w); Shadab Khan 10-0-42-0; Shoaib Malik 4-0-19-0 (1w); Sarfraz Ahmed 2-0-15-0. RESULT: Pakistan won by 131 runs to win five-match series 5-0. UMPIRES: R.B. Tiffin (Zimbabwe) and I.J. Gould (England). TV UMPIRE: L. Rusere (Zimbabwe). FIRST MATCH: Pakistan won by 201 runs. SECOND MATCH: Pakistan won by nine wickets. THIRD MATCH: Pakistan won by nine wickets. FOURTH MATCH: Pakistan won by 244 runs.